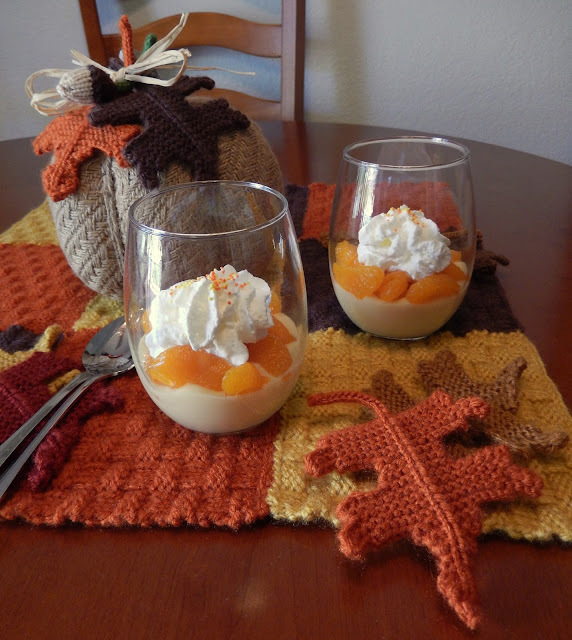 Are you in charge of bringing an appetizer, side dish or dessert to Thanksgiving dinner? Consider bringing one of these fun, healthy (and bariatric surgery friendly) recipes. You will be sure to have something to go with that protein-packed turkey and I promise your non-op family and friends will enjoy them too. Appetizers - Something for those asking, "Is it ready, yet?" every five minutes. 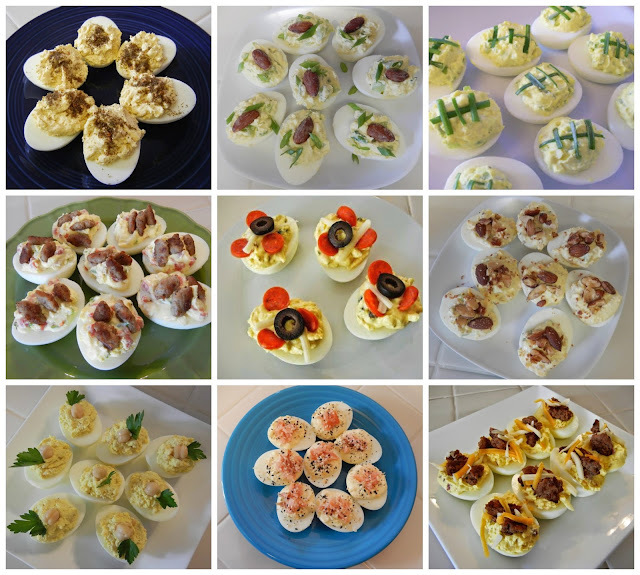 Deviled Eggs - So many variations, here are a few of my favorites from the blog. You could make 2 different types so you'd be sure to please everyone. 12 eggs ($1.50 or so) make 24 deviled eggs so it's a reasonable appetizer for a crowd. 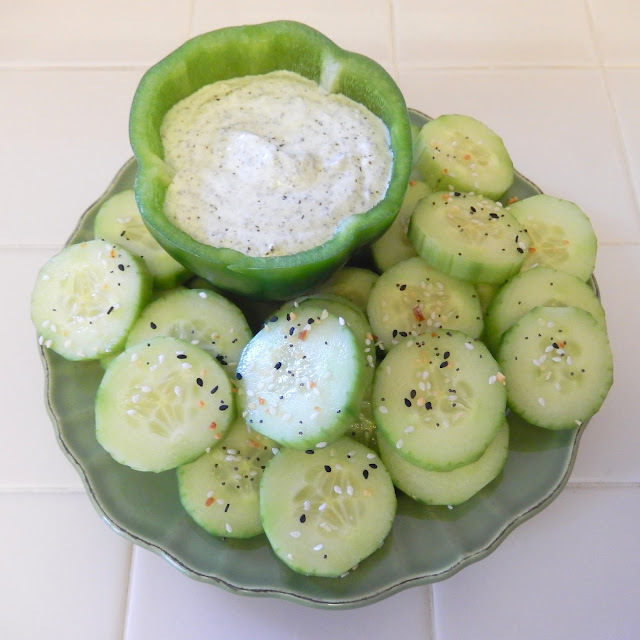 Cucumbers and Dip - Sliced Cucumbers are my go-to post- Bariatric Surgery cracker option. They are super low in calories, give you the crunch factor and hydrating as they are mostly water. Pair them with a protein-packed, lower fat dip. Take plain Greek Yogurt and mix in a dollop of store-bought Pesto Sauce (pictured) or any flavor of store-bought Hummus to taste or fresh or dried herbs are great too. I sprinkled the cucumbers with Bagel Spice. Spoon the dip into a hollowed out bell pepper and you have no clean-up too. 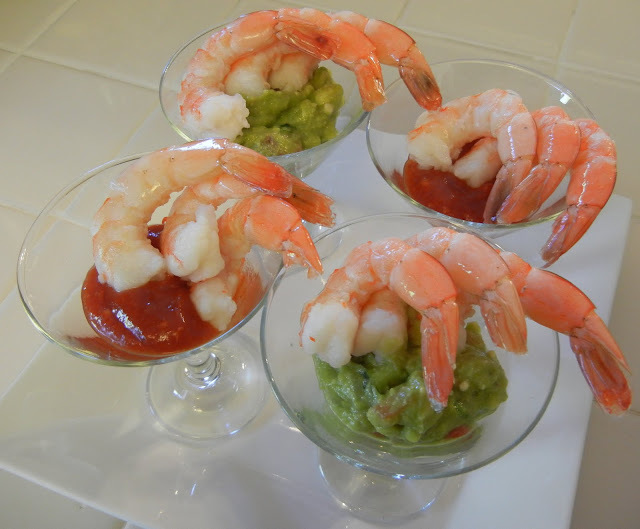 Shrimp and Guacamole or Cocktail Sauce - Cooked shrimp in fancy glasses with a dollop of guacamole or cocktail sauce (watch the sugars on the sauce, you can also do half cocktail sauce, half salsa to help that.) Don't want to cook this is one of the easiest. Buy pre-cooked (Costco, most Seafood sections) and store-bought sauces. 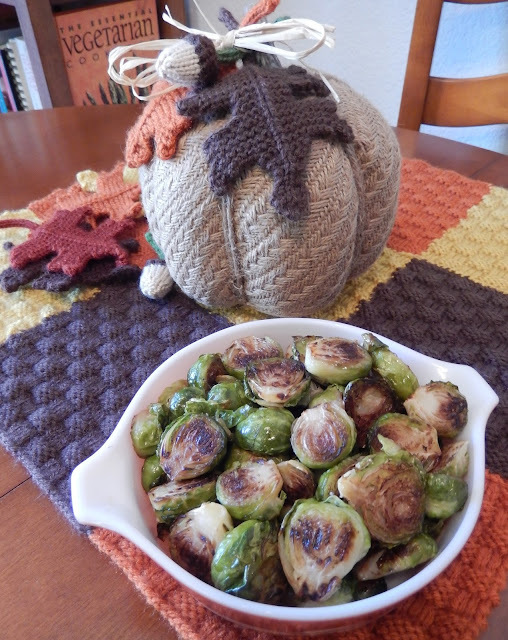 Side Dishes - My favorite part of Thanksgiving is, was, and always will be the side dishes. The turkey is great but the sides make the meal. Boil cauliflower in salted water till fork tender. Drain and set aside. Mash with a potato masher (or for smoother consistency whiz in a food processor.) Add yogurt, cheese, seasonings, and a little more than half of the cheese, bacon, and green onions, saving remainder for the top. Mix well. Spoon into a Pyrex casserole dish. 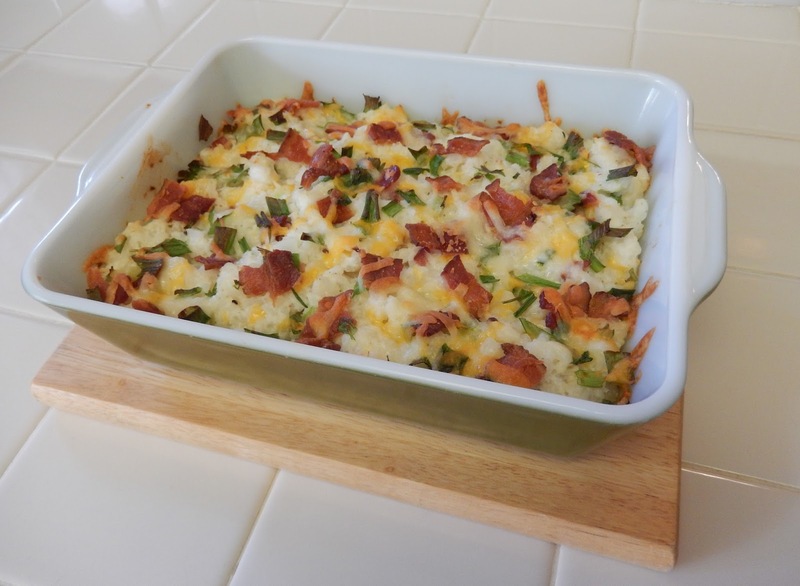 Top with remaining shredded cheese, chopped onions and bacon. Bake at 350 for 30 minutes. 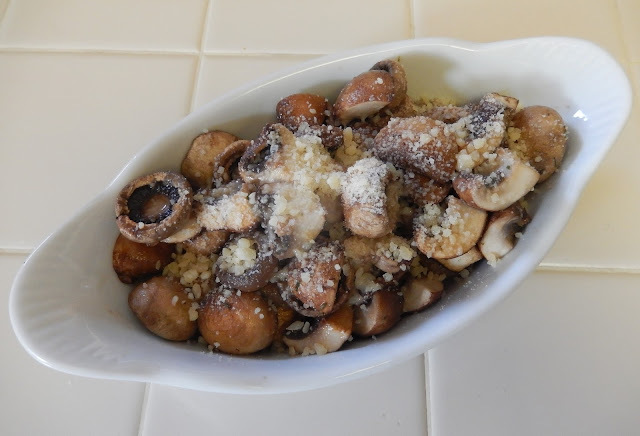 Shelly's Sauteed Mushrooms and Parmesan - Simply sauteed crimini mushrooms with a pinch of thyme and sprinkle of Parmesan Cheese. Preheat oven to 425. 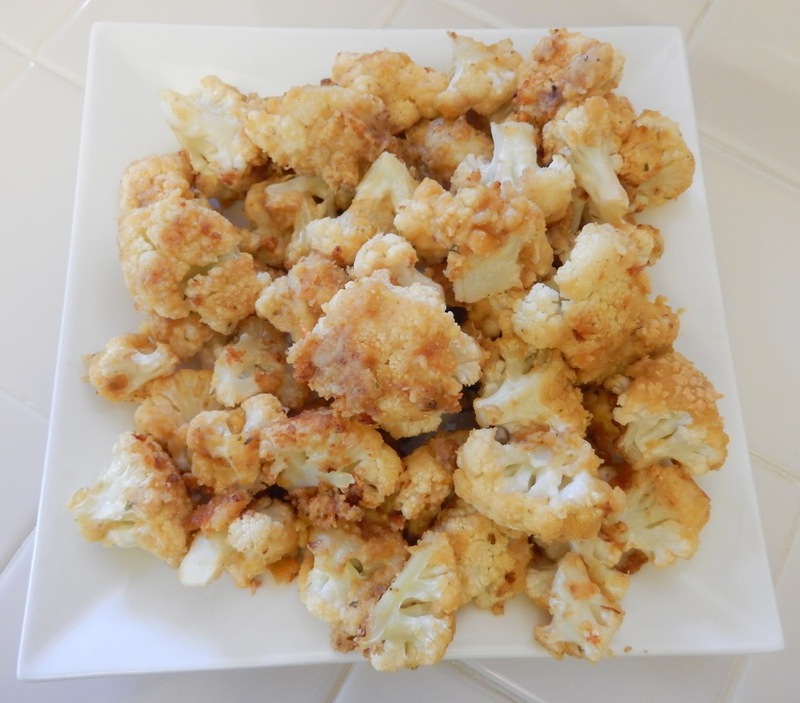 Place cauliflower florets on a baking sheet and drizzle with olive oil and sprinkle with Kosher Salt. Roast for 20 minutes. Remove from oven (keep the oven on) and place partially roasted cauliflower florets in a bowl, toss with the hummus and Parmesan until evenly coated. Arrange in a single layer back onto baking sheet and continue to roast for 15-20 minutes more until golden brown. Cut squash in half lengthwise; scoop out seeds. Place with cut side down in a baking dish; add 1/2 cup water, microwave 14 minutes till easily pierced with a fork. Discard water. 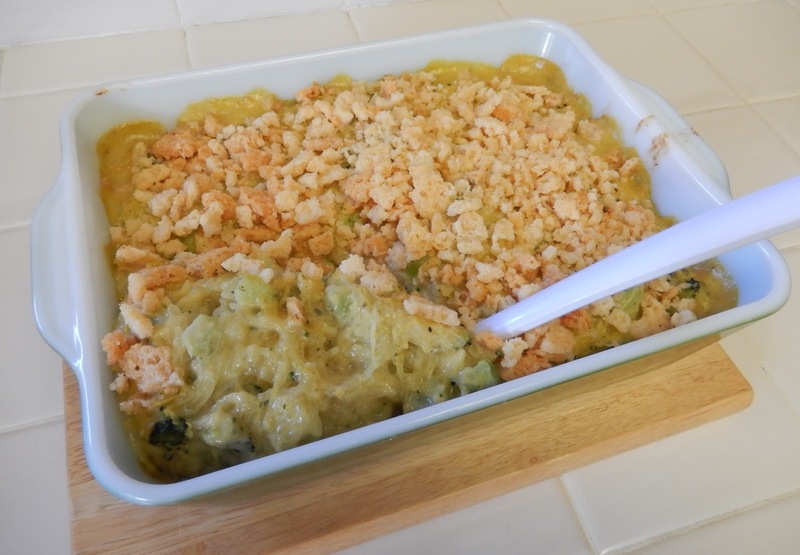 Allow to cool slightly and using a fork remove shreds of both sides. Cook frozen broccoli according to package instruction, chop any larger pieces. Mix squash shreds and broccoli with all other ingredients (except crunchy cheese) till well combined. Pour into a Pyrex casserole dish. 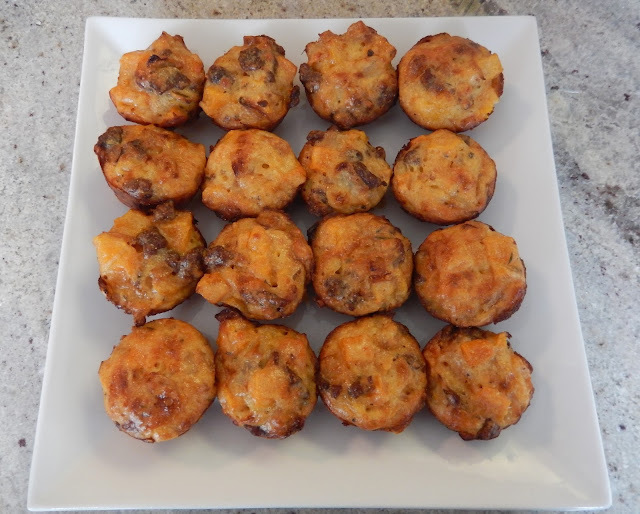 Top with crunchy cheese Whisps. I used a combo of Parmesan and Asiago & Pepper Jack flavors. Bake at 350 for 30 minutes. How to Roast Garlic: Using a knife, cut off 1/4 to a 1/2 inch of the top of cloves, exposing the individual cloves of garlic. Place the garlic heads in a muffin pan or garlic roaster. I love my garlic roaster. Drizzle a couple teaspoons of olive oil over each head. Sprinkle with kosher salt. If you aren't using a garlic roaster: cover with aluminum foil. Bake at 325 for 45 minutes or so (take the lid off for the last 15 minutes), it's done when the cloves feel soft when a knife is inserted. Stores several days in the fridge. Boil cauliflower in salted water till fork tender. Drain and set aside. 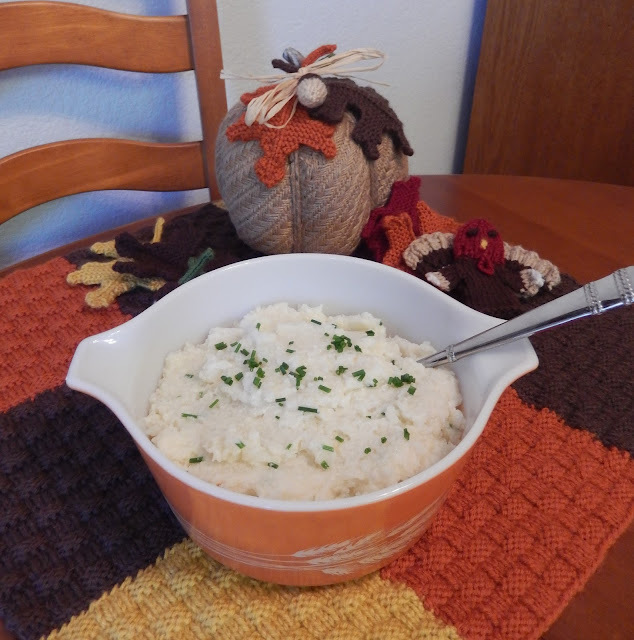 Mash with a potato masher (or for smoother consistency whiz in a food processor.) Mix in ricotta, butter, seasonings, roasted garlic, and chives. Saving a few chives for the top. Shelly's Roasted Butternut Squash "Stuffing Muffins" I dream about these little suckers. Desserts - Something sweet to end the day. Hope these give you some ideas and inspiration to make your Thanksgiving menu a little healthier without sacrificing flavor. 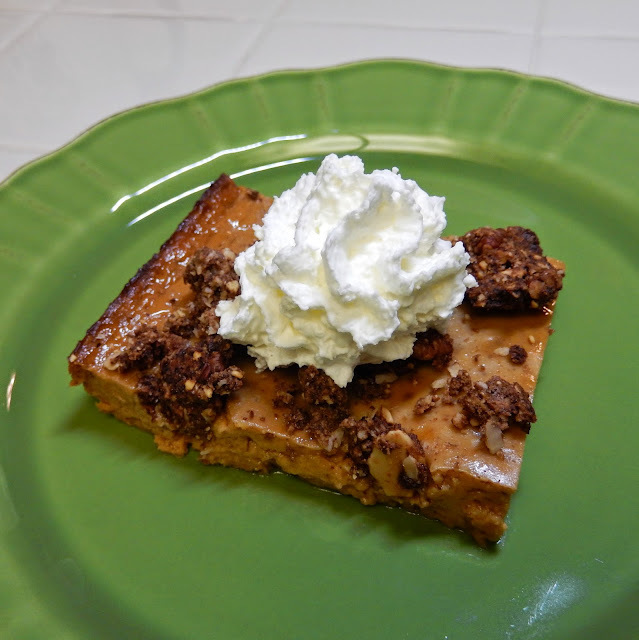 I love all of your recipes here - and there are so many to choose from. The variations on devilled eggs are especially fun. I always enjoy seeing ideas that are a little different than normal.